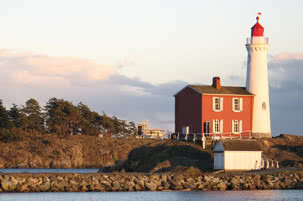 Thinking About Moving to Victoria BC? If you are thinking about moving to Victoria BC you probably have a few (or more than a few) questions about the cost of living in Victoria BC and what it’s like to live here. This blog is a great source of information about Victoria and its surrounding municipalities, the amenities and resources you’ll find here, so it’s a good place to start your research. For a more personal look at what it’s really like to live here, I thought I’d offer my take on living in Victoria. As a long-time resident I’m familiar with all aspects of life in this, the Capital city of BC and frankly, I don’t want to live anywhere else and consider myself fortunate to be living in Victoria. There are those who will tell you that Victoria is an expensive place to live. It’s certainly not the least expensive city in Canada, real estate values are relatively high, but the real estate market is more balanced now than it has been for the last decade or so, with prices moderating and plenty of homes on the market from which to choose. Groceries and household goods may set you back a little more than they would if you live on the mainland because everything must be shipped to the island, but compared to the cost of these things in northern BC they are a bargain – it’s all a matter of perspective (and shipping costs!). Oh yes, there’s the island thing! People often complain about the cost of BC Ferries and how we are ‘held hostage’ on Vancouver Island as though we were somehow stranded on a tiny rock, languishing for lack of human contact. Take a look at a map; this island is huge! Honestly, there is little need to leave the island; we have everything we need right here and that much-maligned ferry trip does serve as an effective buffer from the teeming masses on the lower mainland. The southwest corner of BC is accused of being rainy and gloomy all winter but as we cheerfully inform our relatives back east, “at least we don’t have to shovel it”, and Victoria’s secret (well, it’s not so secret) is that we are sheltered in the rain shadow of the Olympic mountains and get half the rain that Vancouver gets on an annual basis. 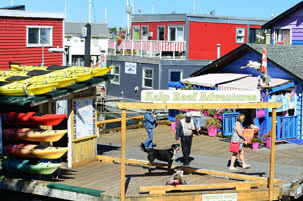 With an annual total of 2,193 hours of sun, Victoria is one of the sunniest cities in British Columbia. 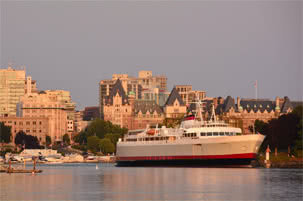 Of course everyone knows how beautiful Victoria is, and that we have the mildest climate in all of Canada so there’s no need for me to go on about those undisputed facts. The only thing that surprises me is that more people aren’t thinking about moving to Victoria BC. Or are they? 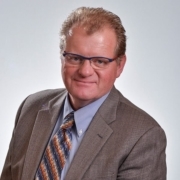 https://livinginvictoriabc.com/wp-content/uploads/2017/05/logo-transparent.png 0 0 Geoff McLean https://livinginvictoriabc.com/wp-content/uploads/2017/05/logo-transparent.png Geoff McLean2012-10-16 14:55:212018-06-07 10:18:42Thinking About Moving to Victoria BC? Thanks for sharing your experiences in your blog! We’re considering moving from Calgary to Victoria. It’s a tough choice. We love the winters however we also think they’re inconvenient (we already have about a foot of snow). Right now we’re in the research phase. We have 4 (barely) adult kids :) and we’re hoping they might see the adventure in moving to the Island. There’s a good university so that shouldn’t be the problem. My husband is working in the ICT (Emergency Response Planning for the oil and gas) and I am an Event Planner/Fundraiser. We’re a bit anxious about the employment opportunities in Victoria especially in the ICT field. We will keep reading your blog! Hi Anneke, We’re happy that you’re enjoying the blog and hope you can find all the information you need about living in Victoria. If you have any specific questions let us know, we would be happy to answer them for you.